Send some love & support your favorite non-profit! Give the gift of love & literature! Valentine's Day is coming up! Unsure of what to say? For every $10 donation, we'll send a handwritten note to your sweetheart. F. Scott Fitzgerald certainly knew how to woo with words, so include your favorite Fitzgerald quote, or send us your own! What better way to support the only museum dedicated to one of the most tragic & beautiful romances of our time? Send contact information, including name & full address and your message to thefitzgeraldmuseum@gmail.com or submit through the form on our website. I donated in the name of love and literature. 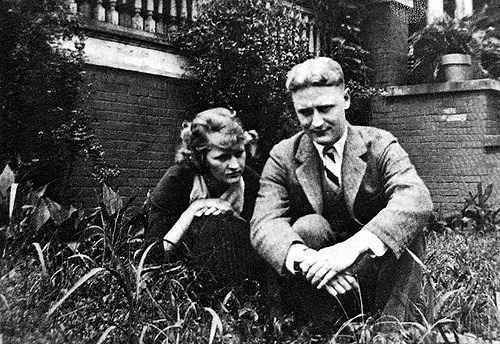 I donated to support the museum’s admirable effort to promote the literature and life of Zelda and Scott Fitzgerald. In honor of the museum’s director, Sarah Powell, who has been shaking things up in a good way. Her star is shining so bright. My son is named after Fitzgerald. We simply love him. Because of the great love between Scott and Zelda. We love this museum and what is offers!